Innovation Park of Tallahassee is the place where research pushes the envelope into life-changing discoveries. With two major universities, matchless resources, dynamic community collaboration, programs and support, startups and other pioneering businesses are equipped to innovate. Established by Florida Statute in 1978, the Leon County Research and Development Authority (LCRDA) is the governing body for Innovation Park: the premier research and development park in the Tallahassee/Leon County region. Innovation Park is the place where universities, private companies and governmental entities can conduct research and development to develop new knowledge, advance technology, and enhance the economic growth of Tallahassee, Leon County, as well as the state of Florida. Innovation Park is the brainchild of the LCRDA, a 208-acre center on the southwest side of Tallahassee, conveniently located close to Florida State University, Florida A&M University, government facilities, and the Tallahassee International Airport. The Park utilizes these resources, along with the pleasant environment of towering live oaks and rolling hills, to attract research and high technology organizations, and the high paying jobs that come with them. 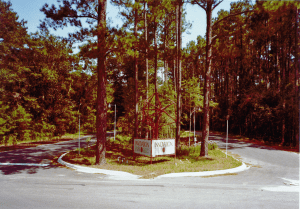 After finding the right location and laying the ground work, Innovation Park was open for business in 1982 and welcomed its first tenant: the Northwest Regional Data Center (NWRDC), Florida’s leading data provider for both educational and governmental communities. 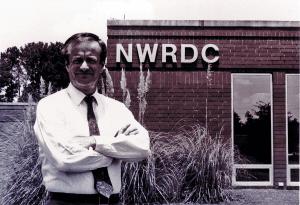 The NWRDC is still a Park tenant today in its original building, and has also expanded operations to an additional location within the Park. In the early years following the opening of Innovation Park, several governmental facilities located within the Park. 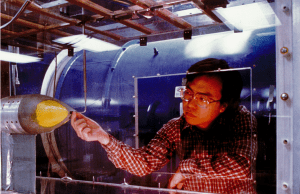 In the 1990’s an important shift of focus began: a vision for a premier research facility that would build and operate the world’s most powerful magnets. 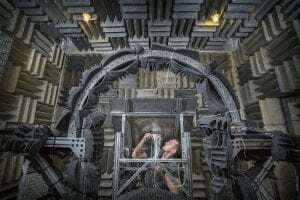 Florida State University, along with the University of Florida and Los Alamos National Laboratory, won the bid to house the National High Magnetic Field Laboratory, funded by the National Science Foundation and the State of Florida. Dedicated at Innovation Park in 1994, The National Mag Lab is the largest and highest-powered magnet lab in the world, and the only facility of its kind in the United States. The National Mag Lab houses a fleet of world-record magnets that help researchers define the properties of new materials, find energy solutions and illuminate the mechanisms that underlie life itself. Since the National Mag Lab’s arrival, Innovation Park has grown to become an innovation hub for magnetics, aero-propulsion, materials, energy, health, and life sciences. The Park is currently home to 13 Centers of Excellence, which are setting precedents in their industries. The Park fosters a dynamic and collaborative community with many private companies, including those on the Fortune 500, who come to the Park to utilize the resources not found anywhere else in the world. Danfoss Turbocor, the pioneer and market leader for the Turbocor oil-free centrifugal compressor, moved its headquarters from Montreal, Canada to be near the Park’s unique resources in 2006. 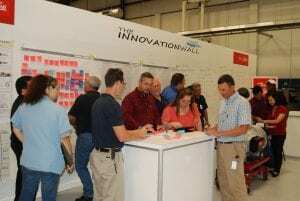 The company has since expanded its plant by nearly 45,000 sf, and includes an application development center. Fast Forward 40 years- The Leon County Research and Development Authority has made its dream a reality, and Innovation Park has grown to include 17 buildings, and more than 32 organizations. The Park has no plans to slow down, with room for expansion and development, including the planned construction of an incubator/ business accelerator, newly renovated office and wet lab space, and other mixed-use projects. Looking ahead, Innovation Park’s future is bright for our current and future residents to continue to push the envelope of life-changing discoveries. With the matchless resources and opportunities to grow, our residents are equipped to innovate. To work in affiliation with Florida State University (FSU), Florida A&M University (FAMU), and Tallahassee Community College (TCC) along with City, County and private sector leaders to promote our region’s research and development assets, and to foster the attraction, startup, and growth of private innovative companies that create high wage jobs in Leon County. Innovation Park of Tallahassee currently boasts over 1 million square feet of space in 17 buildings housing 30 different organizations. 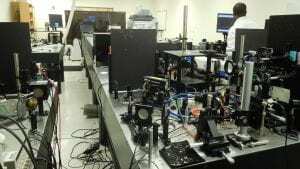 These organizations range from preeminent university research facilities, to specialty manufacturing companies, to state and federal government research facilities. The operations of organizations located in Innovation Park must align with or support the Park’s mission to promote the region’s research and development assets and foster the attraction, startup, and growth of private innovative companies that create high wage jobs in Leon County. The Leon County Research and Development Authority (LCRDA) oversees Innovation Park, and works in highly valued partnerships with higher education institutions Florida State University, Florida A&M University, and Tallahassee Community College, as well as with government and private sector representatives, to guide the growth and development of the Park.